The Department of Public Health Laboratories consists of five major laboratories located across the country of Israel: four environmental laboratories performing microbiological and chemical testing of food and water products [accredited according to International Organization for Standardization (ISO) 17025 since 1999) and a fifth laboratory that is dedicated to virology testing (certified according to ISO 9000 since 2003). Historically, each laboratory operated independently and developed its own quality assurance (QA). On November 2004, an important strategic decision was made: to unify all five laboratories’ QA systems conformed to ISO 17025, ISO 15189, and ISO 9000—a transition from five laboratories operating independently in the field of QA toward establishing a multisite laboratory. 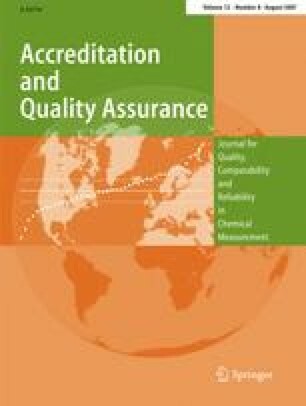 This process was considered and visualized as a major organizational change and therefore raised some resistance among both QA managers and the professional laboratories’ management. Thus, it was necessary to overcome the resistance and at the same time induce thoughts of ways of reshaping and formatting the new and uniform quality manual and uniform standard operating procedures (SOPs). In September 2005, the first phase of the process was completed, and all four environmental public health laboratories successfully passed a reaccreditation audit using a uniform QA manual guide and partially uniform SOPs. We shall share our experience and discuss the major contributions of this process to overall laboratory management. Presented at the 3rd International Conference on Metrology, November 2006, Tel Aviv, Israel.